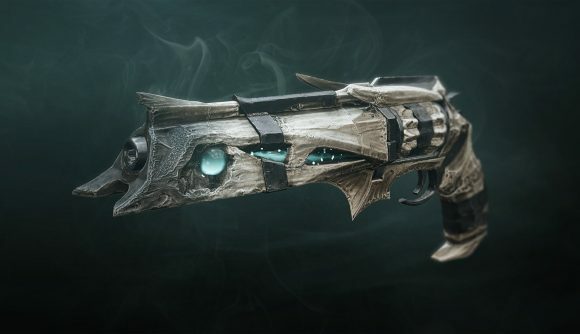 At time of writing, you’ve got about two-and-a-bit hours to get your hands on Wishes of Sorrow, a cosmetic ornament for the Exotic hand cannon, Thorn. Developer Bungie says that it will “be gone” from the game with today’s weekly reset. It also costs $10. That’s the same price as previous weapon ornaments, but the big difference this time is that they were added to the loot pool at the Eververse cosmetic shop, meaning there was a chance to reacquire them. By contrast, Bungie tweeted “today is your last chance” to grab the “Thornament”, and clarified in the replies that hereafter “it will be gone and it won’t be a random Eververse drop.” It’s been a divisive move: some of the most-liked replies argue that “$10 for an ornament is way too much” and “this artificial scarcity is psychological manipulation and that’s not okay.” Some players have also pointed out that Thorn is earned via an Exotic quest just like Thunderlord and Whisper of the Worm, both of which got paid ornaments which were then moved to the Eververse pool, so the Thornament seems to mark a change in policy. There are those who are more supportive of the decision, arguing that it’s only cosmetic, that “at least it’s direct purchase and not a loot box“, and that Bungie has to make money somewhere. They do seem to be in the minority, however. On Reddit, some are confident that Bungie will bring the Thornament back at some point, but that hasn’t happened so far with certain Exotic armour ornaments from previous Eververse loot boxes, such as Orpheus Rig’s Forest Ranger. Once again, a Destiny kerfuffle has raised the thorny (heh) question of handling live content in the age of the service game. Yes, the Thornament is purely cosmetic, but it’s also really cool in a game where looking cool is half the point, and which already has an initial purchase price and a season pass. The exploitation of FOMO is also a questionable practice where it feels like we haven’t agreed on what the norms should be yet. With all that said, as Destiny kerfuffles go, this is a pretty minor one compared to the seething hatestorms we saw in the six months after Destiny 2 launched. It’s been cool to see some more fair-minded discussion in the community; it feels like Bungie’s split from Activision and comparisons to competitors such as Anthem has won them back the benefit of the doubt. And it’s listening: it replied to a comment on the Thornament’s price with “we appreciate that feedback”.